I love tiny houses. Actually I love most things in miniature. Camping has been a part of my world for my entire life. When I was a child we camped with my grandparents who summered in their camper. We stayed in an old canvas tent, sleeping on the ground. As a child this was less of a problem than it is now. Over the years we have had tents and campers, both large and small. When the kids were home we had a pop-up as it was the only way we could fit everyone. I think I even had a tent that went in the back of my truck. In recent years, we sold the pop-up and bought an old 1970-something camper in need of repair. Which we did one summer. I think we used it about two summers. And bought another tent with air mattresses. After sleeping in the tent – which is large and has a screened in porch area – we decided we’d had enough. I’m not sure when this happened but we settled on a tiny house style camper. And spent several months talking about what we wanted in our new camper. We knew that over packing is an issue. I am so guilty of overpacking for anything and camping was no exception. Actually, Hubby is the one that overpacks food. You know how that is. You throw everything that looks good into the cooler and end up bring half or more home. We enable each other. There were two other things that we were concerned about: sleeping and temperature. If you’ve ever slept in a camper with foam pads for beds you know what I’m talking about. Sleep is a struggle both to stay comfortable and for us to fit. In our small vintage camper, the bed was near the table and was not quite as wide as a full sized bed. And so uncomfortable, I’m surprised we got any sleep at all. Sleeping in the tent was better on that air mattress. It was big enough for both of us but did have other issues. Firmness and leakage are two issues that come with air mattresses. That and my husband is a flopper. He doesn’t just roll over, he flips and when he does I would bounce. Yeah, sleep was an issue there. Let’s talk about temperature. Hubs is a hot sleeper and I am of an age where temperature is of utmost importance. Gone are the days where I would lay against him just to stay warm. He is really sad about that. Both tents and campers have one thing in common – air flow. In our vintage camper, small windows and little cross ventilation made it difficult to do anything inside. I’m talking rainy days, evenings etc. We always had a fan but it still felt like an airless box. Tents have the same issue. Windows have to be closed to stay dry. And with the windows closed there is no airflow. Or if the windows are open, there is no privacy. We have struggled with these problems for many years and I think we’ve found the solution. You see, we wanted something that didn’t require days of packing, had a real bed, windows for air, cross ventilation and scenery, and we could simply go. So here she is. She doesn’t have a name yet so if you have any suggestions I am open to suggestion. We decided on a simple rectangle design that would pull easily and would be light. There are windows on all sides and a screened door so we can enjoy the air and the view. And she is shiny, oh so shiny. Although she isn’t quite finished yet, I am so excited about taking her camping. Her inaugural voyage is coming in a few weeks and we are busy putting the finishing touches on the inside. Stay tuned for more updates as we move forward with this adventure. P.S. Sorry this is a day late. Life got a bit busy this week. As adults, we often forget to play. 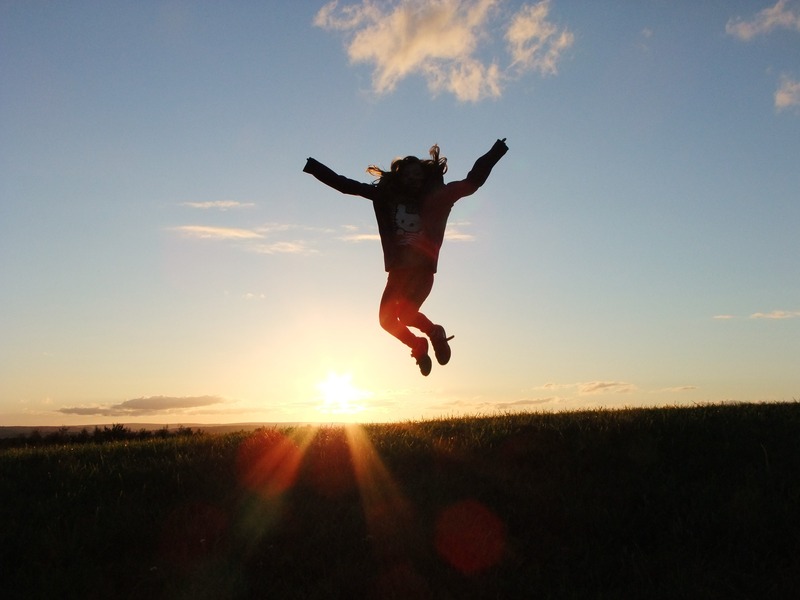 Perhaps we don’t realize just how important play is for our health and happiness. When was the last time your sat in a swing and challenged your child to see who could swing the highest? Or, built a sandcastle at the beach? Or, colored with pencils or crayons for the sheer joy of it? One of my favorite things to do is play tag with my grandkids. By the end we are all laughing and, after I’ve rediscovered my breath, we are ready to go again. Relieve stress. It’s hard to hold onto all of your cares when you let yourself play. Stimulate the mind and boost creativity. When we stop playing, we often stop creating. Get your groove back by finding ways to play in your life. Improve relationships and your connectivity to others. Perhaps the adage is true, the couple (or friends, family, etc.) that plays together stays together. Find ways to have fun together. Keeps you feeling young and energetic. I firmly believe when we stop having fun we get old. I also believe that about learning, but that is fun for me, most of the time. Games – the ones you sit face to face with people, not the online kind. Find some of your old games and toys from when you were a child. One of my favorites is Pick-up-Sticks. I found the game on one of my travels though you can find in many toy stores. Outdoor games. Fly a kite, throw a frisbee, splash in the water, the possibilities are endless. Blow bubbles. 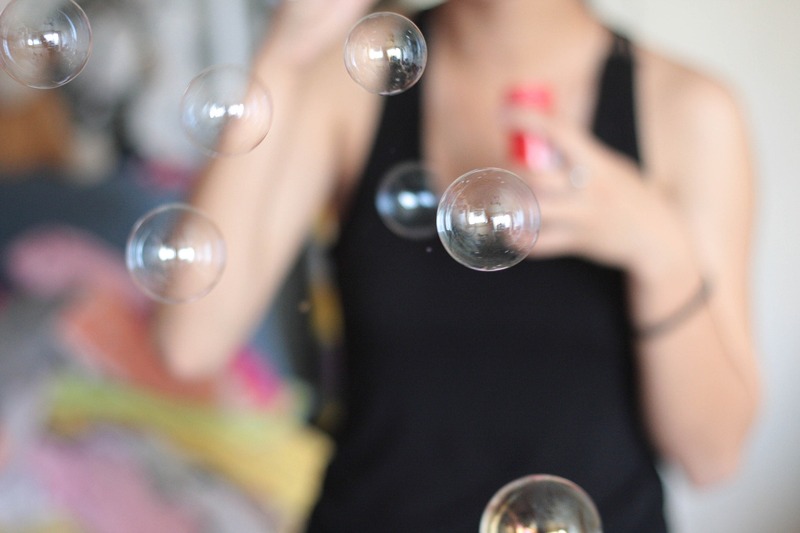 Bubbles are fun to do anywhere (yes, including inside the house, it’s just soap after all). 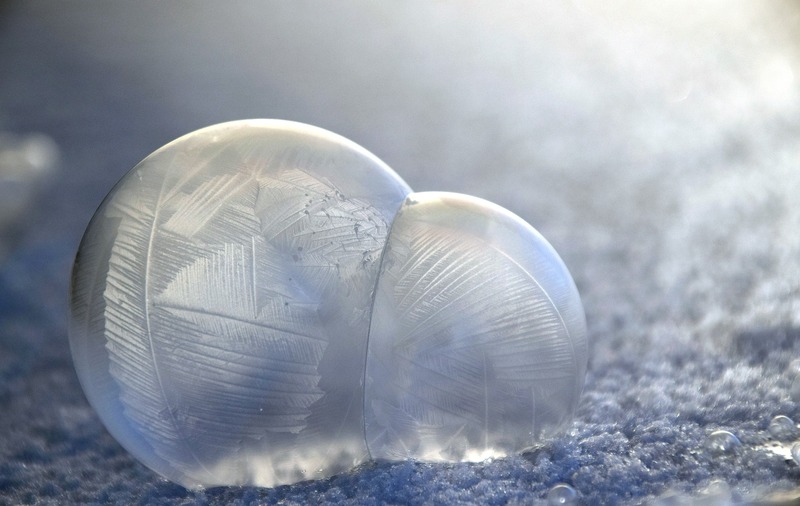 Blowing bubbles outside in the winter is fabulous because the bubbles can freeze and are iridescent before they burst into pieces. Doodle – If you struggle with this and need some structure, check out Zentangle. Sing – it doesn’t matter if you are good or not if you sing in the shower or car no one can hear you anyway. Spend some time with a kid exploring their imagination. It’s easy to get caught up in all your “adult” responsibilities but if you want to find that spark that keeps you young, find some time to add play into your life. Play doesn’t have to end with childhood. The key is to find what works for you. A recent discovery for me to relax and play is to color mandalas. You can pick up these adult coloring books anywhere, and I would encourage you to pick one up. Mandala’s can be meditative and healing. Not to mention there is no one to tell you to stay in the lines. Leave a comment with your favorite way to play.